Tax and property interact in a number of ways, more so when we consider the personal and company route for property ownership. Over the twenty plus years that we have been advising our clients on property tax, one of the more popular questions is whether or not their property business should be run through a company. The government’s announcement about the change in mortgage interest relief, commonly known as section 24, unsuccessfully challenged in the courts and not changed by the 2016 Autumn statement has highlighted the importance of this question. Section 24 only relates to individuals, companies are exempted from the proposed change. This article will give an overview of the section 24 proposals and then provide an overview of running your property through a limited company and the impact of incorporation on property tax. Currently mortgage interest costs relating to your property portfolio are deductible in full from rental profits; the proposal is that taxpayers receive a 20% tax credit on the mortgage interest costs. For example, consider a landlord with rental income of £27,000, rental costs of £10,000 and mortgage interest of £6,000. The above illustrations assume no change in the level of basic income. The tax credit is applied after calculating the taxable profit. This means that individuals that have other forms of income, such as self-employed or salary may find themselves becoming higher rate taxpayers due to higher property “profits”. The slight cushion is that the higher rate threshold is planned to increase from the current £42,385 to £50,000 by the time this measure takes full effect in 2020. Many landlords are setting up companies, or certainly looking at this route to minimise the impact of the new tax regime, this may not necessarily be advisable. HMRC will treat most transfers of property ownership as a sale, and the transfer value will be the market value of the property, not the price initially paid, this may trigger a capital gains tax liability. When incorporating a business it may be possible to defer the tax payable by what is known as Incorporation Relief, however to be able to claim this relief the property business must involve some active management. If there is passive management and the business is just seen by HMRC as merely rent collection then the relief will be denied. The mortgage options might also be limited because currently the majority of lenders offer a restricted choice of property loans to companies. A landlord could transfer ownership of the property to a spouse (married or civil partnership) who is in a lower tax band. Care and caution have to be exercised that the property ownership does not lift that person into a higher tax bracket. Property investment companies can be useful for estate planning; the give with one hand and take with the other hand can be seen with Capital and Inheritance Tax. No CGT is payable on death, but property (including personal residence) are part of the inheritance tax estate. Shares can easily be transferred to the next generation(s) or held in trust. Different classes of shares can be used so dividend pay-outs can be varied, albeit since 6th April 2016 there has been a rule change on dividends. Companies pay corporation tax on income and capital gains, current corporation tax rate is 20% with proposals to reduce this to 17% from 01-April-2020. Higher rate individuals pay 28% on capital gains, but unlike companies they can reduce the gains by an annual exemption. 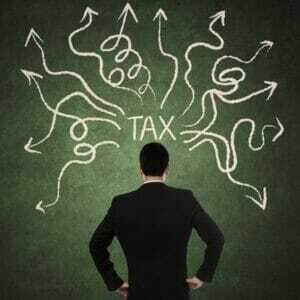 If you make approximate capital gains of over £38,000 in a year then you will pay less tax through a company. Companies can still claim a deduction called an indexation allowance, this removes the impact of inflation on the capital gain. Stamp duty land tax (SDLT) may apply to the transfer of a property into a company, and since 1st April 2016 higher SDLT is applied for additional residential properties, starting from 3% for properties valued up top £125,000, to 15% where properties are valued at over £1.5 million. 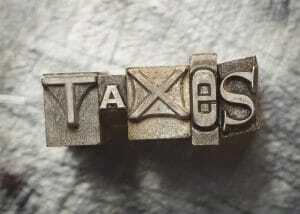 For further resources on property and business tax click here. Get in touch if you have any questions and to see where we can help with your business and accounting needs.